Home > News > Tokyo Cherry blossoms Cycling Tour ! Tokyo Cherry blossoms Cycling Tour ! Tokyo cherry blossoms are starting to bloom ! Now, Cherry blossoms are starting to bloom everywhere in Tokyo . This photo was taken at Nihonbashi area. 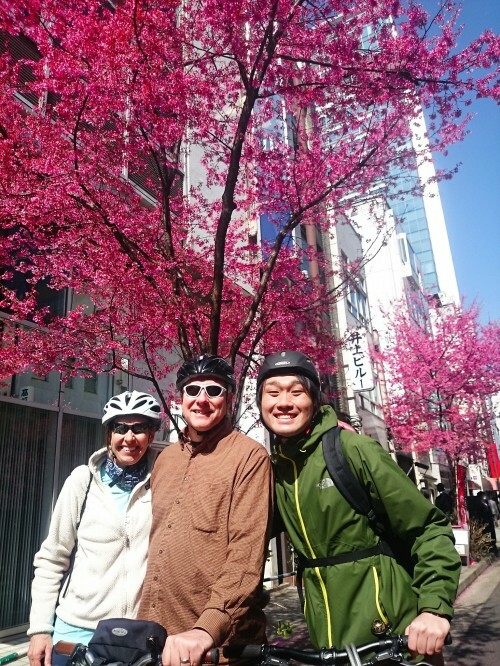 Why don’t you come and join our Tokyo cherry blossoms viewing cycling tour ?